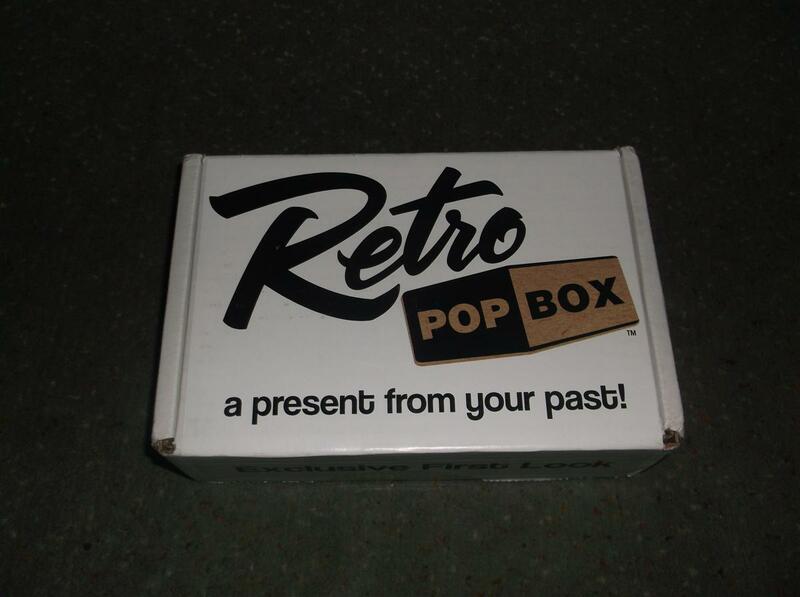 Retro Pop Box Turns Your Mailbox Into A Time Machine | "DESTROY ALL FANBOYS!" Now, my mailbox isn’t the biggest thing out there, but somehow my sampler fit nicely inside and there was still room for a few bills and catalogs. Boo to bills and some catalogs! , Inside was a nice intro note about the service as well as a full color card with info on what items from which eras were inside. The current subscription plan has you pick ONE of the three eras, add in your T-shirt size and choice of how long you wish to subscribe. Recurring pricing ranges from $20 for one-month, $57 for 3 months, $108 for 6 months and $200 for a year’s worth of Retro Pop Box goodness. Obviously, the yearly plan is the best overall deal, but in case you may be getting on a rocket to Mars shortly and won’t have a mailing address until you land, one of the shorter plans may be the way to go. 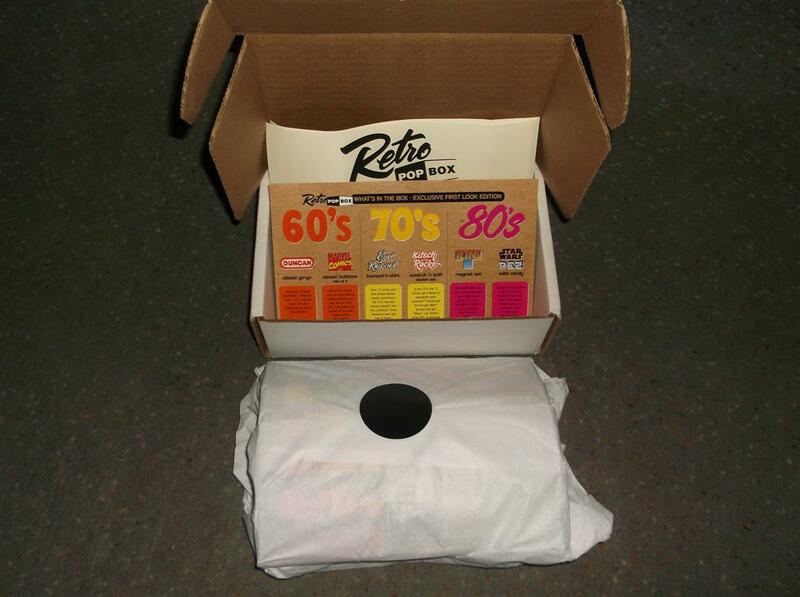 Each box will contain 4-7 items with a retail value of over $45 and may include something you can’t get anywhere else. 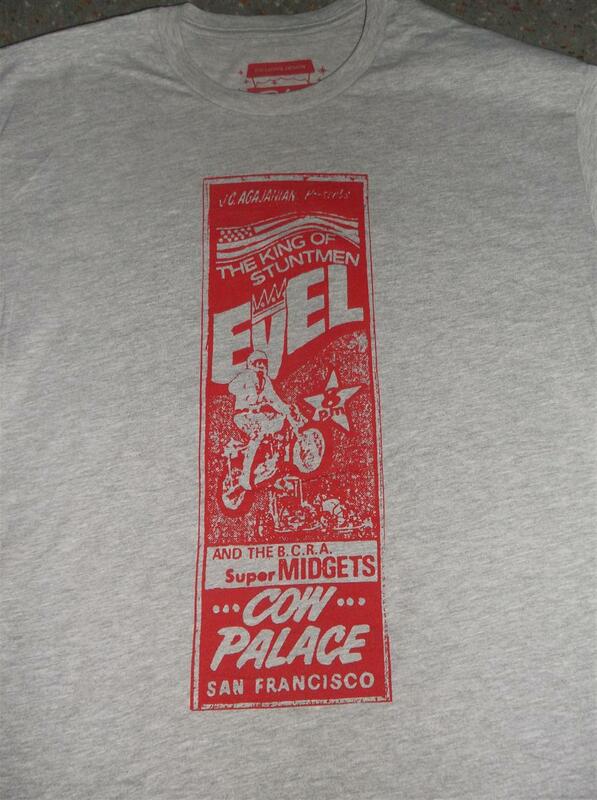 That Evel Knievel T-shirt above and below is one such exclusive and yes indeed, wearing it outside the next day got no fewer than six people asking me where I got it over the space of about five hours. I could have been a total jerk and not said a peep, but that’s not my style, so I more than happily plugged RPB and their retro ways. The rest of the goodies are getting used in some interesting ways. I still write and mail the occasional letter, so those Wife Savers Scratch & Sniff stickers will get slapped on someone’s note or holiday card. Those Marvel Comics buttons? I think those will go fine on a few outfits (not all at once, though… but maybe). I plan to slap those Tetris stickers all over my fridge and re-learn the lost (to me) art of yo-yo throwing (without knocking myself out cold). Finally, that Yoda PEZ dispenser will come in very handy when waiting on a line to see Star Wars: Episode VII in December. Anyway, a Retro Pop Box subscription is a perfect gift for pretty much anyone whether they’re having nostalgia pangs or not. 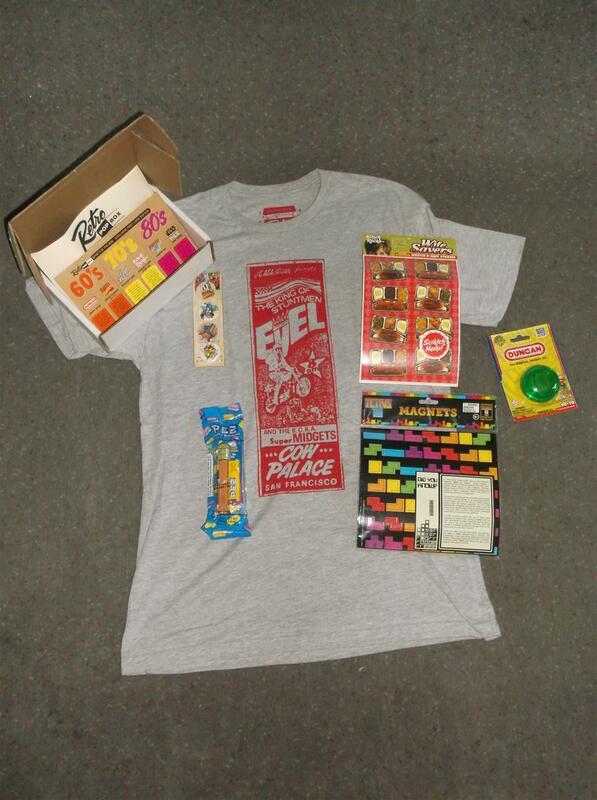 Younger giftees can see some of the cool stuff you may have had as a kid and those who recall the era they’ve chosen will get all warm and fuzzy every month when their box shows up. Everyone wins big with this deal, folks. Of course, you may have to explain to your mailman and neighbors that you don’t actually have a REAL time machine. If you don’t do that, they’ll all be lining up and trying to squeeze themselves inside to try and go back to their own childhood days. 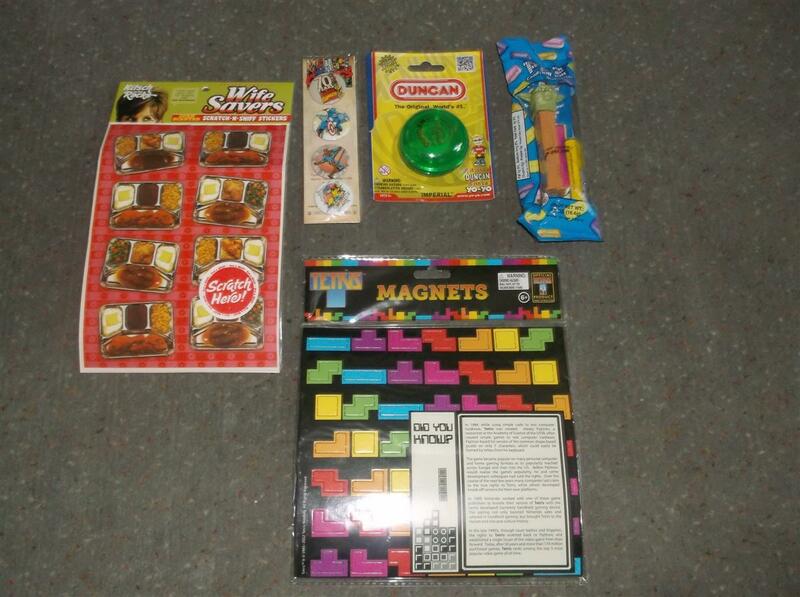 This entry was posted in 2015, Commentary, DAF, Features, Holiday Gift Guide 2015, Humor, Updates and tagged 1960's, 1970's, 1980's, BUY THIS STUFF!, Gifts, Nostalgia, Randomness, Retro Pop Box, T-Shirts, Toys by geelw. Bookmark the permalink.